Fascia boards allow you to achieve a clean, modern finish on your roof. When combined with our range of soffit boards, this provides your property with a truly professional looking finish whatever roofing material you are using. This is as our fascia boards accompany concrete, metal and synthetic roofing materials wonderfully. 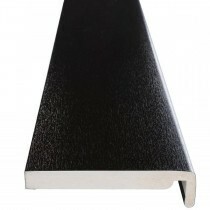 Roofing Megastore stock a wide range of fascia boards. 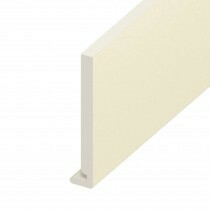 These include a range of styles, such as ogee fascia boards and bull nosed fascia boards. These are each available in a selection of popular colours. These include anthracite grey, rosewood, white and many others. 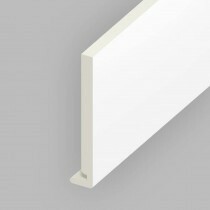 Our fascia boards are mostly manufactured from UPVC. This material is lightweight and offers brilliant longevity. These boards are also incredibly easy to install. 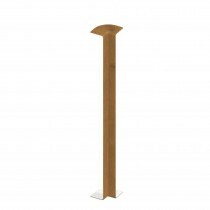 This makes them ideal for DIYers and lowers the cost of labour on most roofing projects. Have Questions About Our Fascia Boards? If you have questions about our range of UPVC fascia boards, speak to our team by telephone or via the online chat. With over 40 years of experience in roofing, we’ll help answer your questions about fascias. We will also help you pick the necessary fixings for your project. Fascia boards allow you to achieve a professional finish on your roof, whether it be on your home or office. Due to them being crafted from lightweight UPVC, these fascia boards are easy to fit and provide superb durability. There are, however, a few common questions our customers ask before buying fascia boards. Below are answers to each of these! Where Are Fascia Boards Used? Fascia boards are used alongside soffit boards around the eaves of your roof. They cover any visible timber around the edge of your roof. In doing so, they allow you to achieve a professional finish on your home or office. Why Use UPVC Fascia Boards? UPVC is a form of durable plastic. Unlike many other materials, these will not significantly degrade over time and therefore provide brilliant longevity. 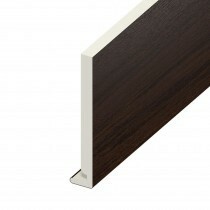 UPVC fascia boards are also incredibly lightweight. 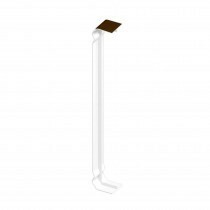 This reduces the weight load around your eaves and makes fitting these boards significantly easier. If you have more questions about our fascia boards, speak to our team online or by telephone. With over 40 years of experience in roofing, we'll help answer your questions and will ensure you have everything you'll need to complete your roofing project.